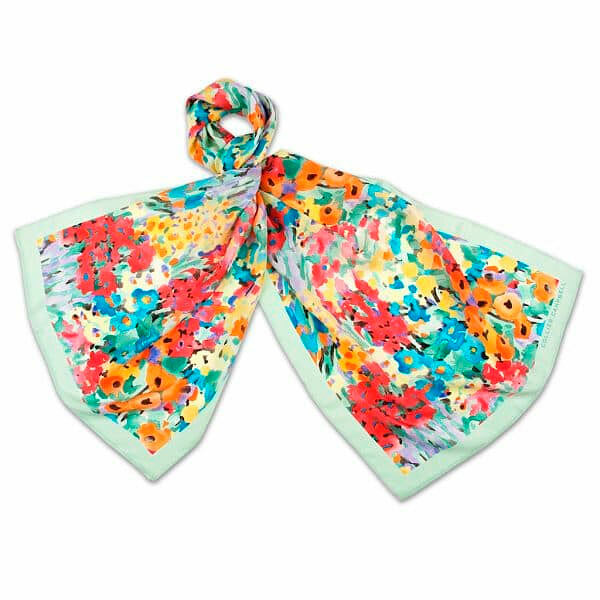 Floral Fantasy Silk Scarf, a lovely floral design of a garden in bloom adorns this scarf by Collier Campbell. 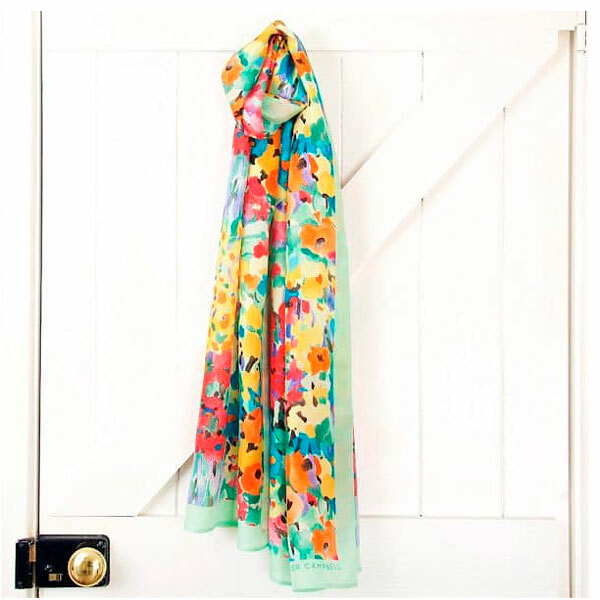 This long fine silk scarf is light and beautifully comfortable to wear and will bring colour to any outfit. We would be very grateful if you would kindly make a comment on this item in our review section through the link on this page. It is very helpful to us -Thank you.